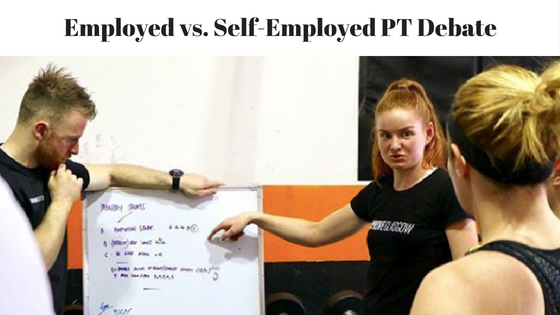 Personal Trainers usually want to work for themselves, be their own boss, etc. at the start of their careers. 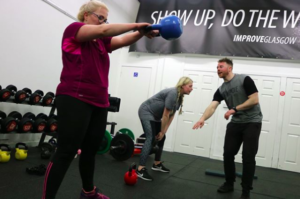 Opportunities for employment as a Personal Trainer are scarce and so new trainers tend to be pushed into the self-employed route. They then typically realise they don’t know enough and end up on a one-way train to Struggle Town after a few months. Add to that the fact the most independent gyms struggle commercially and we’ve got a bunch of gym owners who feed the ‘self-employed trainer’ fire by shirking the responsibilities of a set wage bill each month. 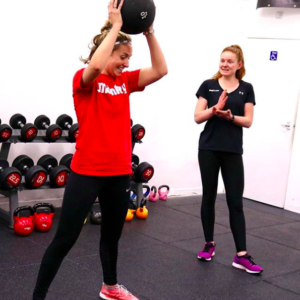 With that, as a gym owner, you’re faced with a fairly complicated decision as to whether to build a team by employing Personal Trainers or to try to build a team of self-employed trainers. The self-employed ‘team’ seems like an attractive proposition for both parties. The gym owner keeps his/her fixed costs down by not having to pay salaries. The trainers get paid for the hours they work. 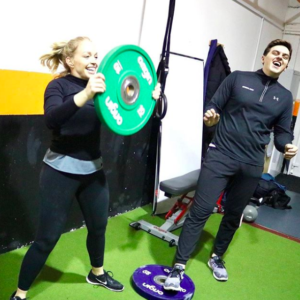 The owner doesn’t have to worry about fluctuations in turnover/profitability because if the gym is quiet the trainers work less and therefore get paid less. Hell, the owner often gets paid a monthly rental fee from the trainers for the privilege of using his/her facilities to train their clients in. It can be an attractive option because it means you can ‘do your own thing’. You can choose your own hours and don’t have to answer to the owner because, ostensibly, he/she is not your boss. There’s no security or stability but you’re self-employed so you’re most likely okay with that, because you’re working on creating your own security and stability. The problem with this arrangement from the trainer’s perspective is that it’s very hard to earn a ‘full time’ living, particularly when you’re new to the game. You’ll likely have to work a part-time job on the side or just deal with the fact you’re earning part-time money. You’ll also earn zero pennies when you take time off sick, for holidays, etc. Add a CPD budget for seminars, courses, travel expenses, etc. and you’re really going to find life tough; juggling earning enough money to fund your life with investing in your own development. The small roster of clients you’re trying to take with you from gym to gym is going to end up getting fed up. They’ll then likely go elsewhere to get some sort of stability and consistency of their own. The problem with this arrangement for gym owners is that the trainers are never really bought into the project. Being self-employed, by definition, means the trainers are focussed on themselves. So the trainers can’t be blamed for that, but it does make for a tricky situation for the owner. Do I shell out for courses, seminars, travel expenses, etc. and plow hours and hours of my own time and intellectual property into a trainer I know wants to break free from me as soon as possible? Or do I refuse to invest in the trainer and end up with a stale and stagnant coach who doesn’t progress and ends up a liability to the business anyway? The self-employed team route inevitably ends up creating a ‘team’ of individuals who have their eyes on other opportunities. Most commonly, they want nothing more than to know how much they’re going to get paid at the end of the month. And to know their wages will be the same in during the summer and over Christmas as they are in January, February and March. But they’re seldom given that opportunity, such are the ‘norms’ of our industry. As soon as the trainer(s) either reach their wit’s end with not earning a full-time living or get their head turned by another – perhaps newer and shinier – gym, they’re off. 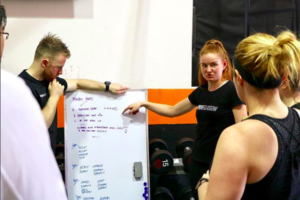 This leads to a constantly revolving door of Personal Trainers coming in and out of the gym, which creates inconsistency and uncertainty for the members. 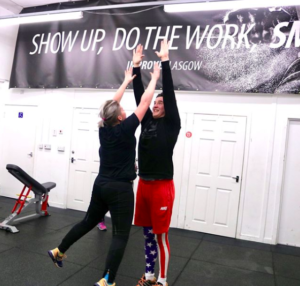 Inconsistency and uncertainty in a gym will inevitably lead to a dip in member retention, which is the foundation that any good fitness business is built upon. This is good for no one. Not the owner, not the trainers who work in the gym and, obviously, not the members. It feeds a perpetuating negative cycle of instability for everyone, and it’s impossible to build a solid gym business (or any business, for that matter) on shaky foundations. In my opinion, the most effective method of building a great team in the fitness industry is to employ. If you’re a gym owner, employ your trainers, give them stability, security, develop them and incentivise them to grow. This will lead to you having a team who are ‘all in’, willing to go above and beyond, and are constantly improving so as to offer your members a better training experience. A better training experience will undoubtedly lead to better results, which will obviously be great for everyone involved. If you’re a Personal Trainer and you’re doing okay and happy with your current circumstances, cool. Keep on trucking! But if you’re a Personal Trainer who’s struggling, would you be better suited to being part of a team than flying solo? If so, are you an attractive proposition for a gym owner? Do you show up on time (and by ‘on time’ I mean 15 minutes early)? Or are you always arriving bang ‘on time’ or a few minutes late? Are you reliable? Or do you flake at any opportunity? Do you look and act the part? Or are your ‘out of office’ behaviours inconsistent with the company, and team’s, values? Have you got a willingness to improve? Or are you happy sitting still? Are you willing to go above and beyond the call of duty? Or is ‘no’ your favourite word? Are you good fun to be around? Or would spending half an hour sticking needles in my eyes be more fun than going for a drink with you? Have you got experience training people? Or are you fresh out the wrapper? (NOTE: By the way, contrary to what you may believe, the last point there is the least important. But do you have more in your locker than a few quid to be able to attract the best coaches in your area? Do you have a wealth of knowledge and experience from years ‘in the trenches’ to pass on? Or have you only been in the game for two minutes? Do you have an extensive network of industry leaders to introduce your team to? Or is your network smaller than England’s World Cup-winning hopes? Do you already have a strong team that can help you nurture a new trainer? Or are you going to have to spin all of the plates at once? Are you fun to be around, uplifting, set solid working standards and generally a good human? Or are you a fun-sponging bellend? Money is definitely important, but there’s more to work than just pounds and pence. Everyone in any job wants to be compensated financially, but they also want to know they’re progressing, learning and developing. They want to be part of something bigger than themselves, help others around them achieve more and ‘play for’ the best team. Everyone also wants to work in a fun and positive environment with people who care about them. So, take a deep dive into your finances and figure out what you can afford to pay a potential coach. Find the right person, offer him/her a job, figure out what you need to do before the end of the month to be able to afford their wages (i.e. how many sales you need/how much extra income you need to bring in) and get to it. This is very much akin to jumping off a cliff and building a parachute on the way down, which is obviously never recommended. The ‘smart way’ to do it is to make sure you’ve got enough cash in the bank to be able to afford the first 3 months of their salary (on top of the rest of your bills) even if you don’t bring in another penny. If I’m faced with a choice between ‘building a parachute on the way down’ or stagnating, I’m jumping 100 times out of 100. With all of that said, we’re going to be looking to add to our team at Improve Glasgow in the coming months. Our member-base is ever growing and we’re eyeing up a move to new premises, which is over double the size of our current digs. To be the best Personal Training facility in Scotland. To do that we need the best team. Now, our last two coaches have had to prove their worth massively so this isn’t an ‘apply one day, in the next’ type gig. The next member of the team needs to be special. Not in terms of experience, physique, ability or anything along those lines (although they all obviously help), but in terms of character, values and personality. Before becoming a part of our team at Improve, there is 8-12 weeks of fairly intensive development, learning, and onboarding. 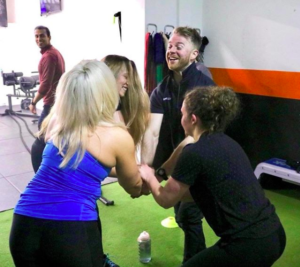 It is undoubtedly the best CPD any Personal Trainer will have done since they passed their ‘Level 3’. Tell them to go find another gym to work out of and get to work recruiting for your team. The bottom line here is either people don’t believe you’ve got enough to give as a leader. Or your project isn’t an attractive enough proposition for anyone to want to join. You’ve got to ask yourself why that is. If you can’t hack it get your jacket.